wp_admin has been a member since May 26th 2013, and has created 15 posts from scratch. Hidalgo is one of the 31 states which, with the Federal District, comprise the 32 Federal Entities of Mexico. 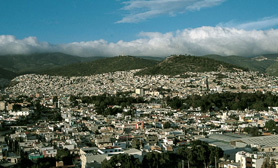 It is divided in 84 municipalities and its capital city is Pachuca de Soto. 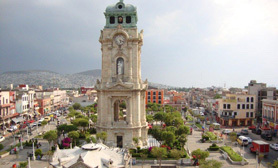 Hidalgo has a population of about 2.4 million. Hidalgo is just one of over 60 official online guides covering the whole of Mexico. If you´re planning a trip to Mexico and would like discover our fabulous nation before visiting or, if you´d like to visit a specific place in Mexico, then you´ve come to the right place. Benito Juárez created the State of Hidalgo in 1869. 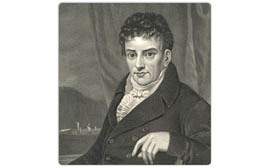 He chose as capital of the state the city of Pachuca to which was included the name “de Soto” in acknowledgment of Manuel Fernando Soto, who was the instrumental driving force in creating the state. Hidalgo is one of Mexico´s most popular places, visited by millions of people over the last decade. When you travel to Hidalgo you may wish to check out the Hidalgo hotels we have available or maybe you´d like to rent a car in Hidalgo? 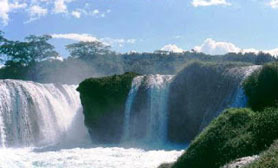 We also offer extensive day trips in Hidalgo. This unique place has simply amazing things to see. We´ve also compiled a list of Travel books on Hidalgo Mexico. Hidalgo was named after Miguel Hidalgo y Costilla, the originator of the Mexican War of Independence. Located in Eastern Mexico, Hidalgo is bordered by Veracruz on the north and San Luis Potosi with Puebla on the east, Queretaro on the west and Tlaxcala on the south. 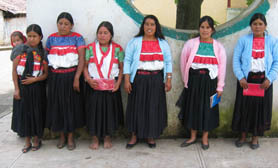 Hidalgo has numerous notable native cultures such as the Otomi tribe. There are also two notable immigrant cultures, those of the descendants of British miners from the Cornish region who left Cornwall for Mexico in 1825, sailing from Falmouth England. There is also, a small Jewish enclave which alleges to be descended from Sephardi Jews which came to New Spain in the 16th century. 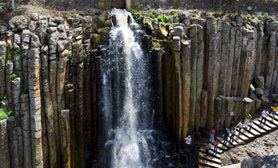 Hidalgo his a hotspot for ecotourism, cultural and archeological tourist attractions together with the Huasteca area, the famous ruins of Tula, old haciendas, natural hot water springs and impressive mountain ranges. Whether you are visiting Hidalgo in Mexico for business, pleasure or both, we´re sure that Hidalgo will meet all of your expectations and that the people of Hidalgo will make you feel welcome while sampling some of the unique cuisine on offer in the Hidalgo Restaurant districts. Posted in About Hidalgo Mexico | Comments Off on Welcome to Hidalgo in Mexico! This Corridor called Hidalgo Tulancingo Corridor is the mecca for waters ports and is named after its main location of Tulancingo, from where the majority of the sports are promoted. 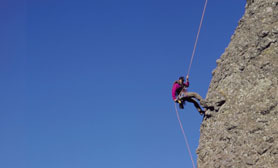 Sporting activities at the Hidalgo Tulancingo Corridor are classified under the 4 elements of air, water, fire and earth and include hot air ballooning, fresh water fishing, river boating, artisan rustic ironwork from Apulco and hiking in the natural valleys, hills and beautiful landscapes. 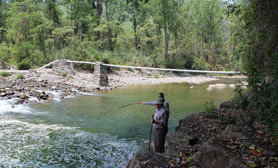 The extensive area dedicated to the 4 elements corridor extends from the municipality of Tulancingo to the municipality of Huehuetla. The literary history of Hidalgo extends back to the 19th century with the oldest prominent writers being Ignacio Rodríguez Galván and José María Rodríguez. Rodríguez Galván, considered to be the first Mexican Romance writer, was born in 1816 in Tizayuca. His works include poetry and plays as well as founding the newspaper Año Nuevo or New Year in English. Rodríguez y Cos was born in 1823 in Tulancingo and represents Positivism in Mexico, writing famous poetry and plays. 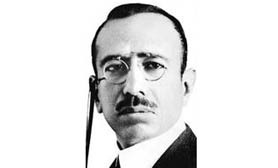 Efrén Rebolledo from Actopán is considered the most important poet of the 20th century; he lived from 1877 to 1929. Other significant writers from this century include Xavier Sorondo, Margarita Michelena, Gabriel Vargas, Ricardo Garibay, Gonzalo Martré and Miguel Ángel Granados Chapa. 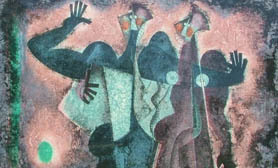 Prominent painters appear in the 20th century, artists such as Byron Gálvez, José Hernández Delgadillo and Yadira Gutiérrez. 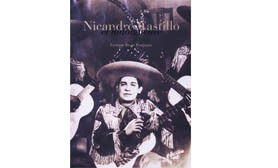 The most famous musician from Hidalgo is probably Nicandro Castillo, who wrote mostly popular music in the mid 20th century. It was with the group Los Plateados that he became the most famous and some of his music became part of a number of Mexican films, including Cuando habla el corazón, Seda, Así se quiere en Jalisco and sangre y sol. By far the most famous celebrity from Hidalgo is Rodolfo Guzmán Huerta, better known as El Santo the wrestler. 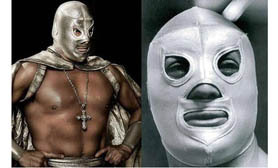 Guzmán was born in Tulancingo in 1917 and, not only was he Mexico’s best known lucha libre wrestler, he also played a major role in the movies, playing his lucha libre character battling evil like a Mexican version of superman. So dedicated to his role he never took off his mask in public until 1984, just a few weeks before his death. Like in other places in Mexico, the days around November 2 honor the dead with altars and offerings to those who have passed away, although each community has its own variations on the theme. Day of the Dead in Hidalgo is referred to as the “Xantolo” which extends from October 31 to November 2. A place which is well known for its traditions is Huejutla de Reyes, where altars dedicated to the dead are particularly large and generously decorated with flowers, colored paper and traditional foods, with the intention reducing the ritual of mourning the dead. 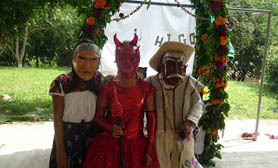 In many of the areas, rituals based on Huasteca traditions are also performed the main being the “Danza de Xantolo” in which masked figures in robes dance around candlelight. In other communities, youths in costume will dance from house to house, similar to the trick-or-treating which takes place north of the border, the kids hope to be invited in to eat or meet the families. 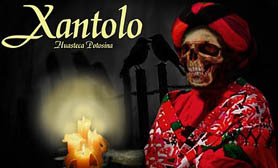 Another popular tradition during Xantolo is to have bands playing at cemeteries on November 2, at which time the tombs are cleaned and decorated with garlands, flowers and more. The Hidalgo tourism authority has divided the state’s attractions into what they call “corridors” all with similar themes which make choosing your specific interest easier. 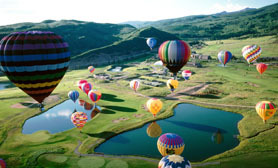 Whether your interest in Hidalgo tourism be historic, action sports, fishing, hiking or simply a mix of all these, the 6 corridor areas offer something for everyone, young and old. Over one-sixth of the state’s population speaks an indigenous language. 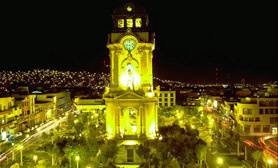 The capital city of Pachuca is referred to as La Bella Airosa (the beautiful windy city) because of the strong northeastern winds that can reach 75 kilometers (47 miles) per hour. Furthermore, than 2,400 meters (7,874 feet) in elevation, it is also one of Mexico’s highest and coldest cities. 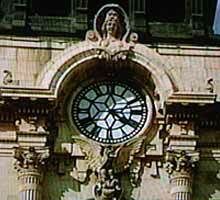 Pachuca’s central clock tower called the Reloj Monumental (monumental clock) was built in 1904. Its bell was manufactured by the Whitechapel Bell Foundry, the same company that made the Liberty Bell and London’s Big Ben. 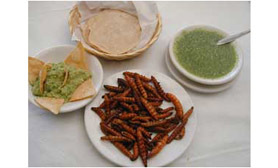 Ants’ eggs (escamoles) and grubs (chinicuiles) that thrive in the maguey cactus are a local delicacy for residents of Hidalgo. 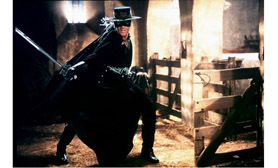 The Mask of Zorro movie from 1998 film which featured Antonio Banderes and Catherine Zeta-Jones was filmed in various areas Hidalgo.